We all probably remember where we were when we first saw the explosive early footage for Far Cry 5. Hot on the heels of a number of terrible decisions by the United States government’s latest elect and white nationalism crawling out of the woodwork all across the world, it was too easy for people to look at that Far Cry 5 trailer and see something akin to what Bethesda keeps delivering with the Wolfenstein games. A lot of international discourse about the American election centred on how the Republicans had appealed to disenfranchised middle America; motifs like violent patriotism and open displays of religious extremism being enacted by white people in the trailer only encouraged comparisons to current day events, and expectations of a countryside Wolfenstein-styled jaunt were quickly formed. In hindsight, we were expecting too much. 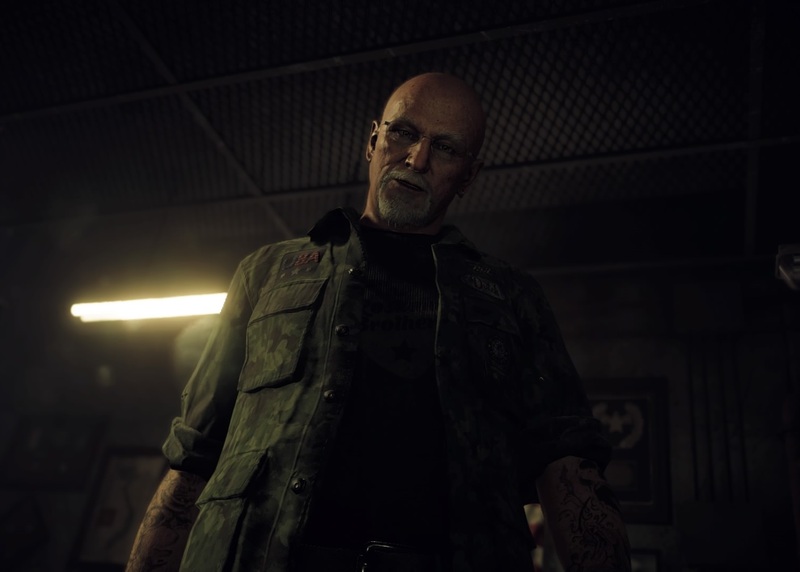 It didn’t take long for Ubisoft to step right back and deny any comparisons between its game and the growing hurricane of right-wing extremism brewing in the real world. While the industry rightfully has many a bone to pick with Bethesda, we can all admit that Wolfenstein leaning heavily into the Nazi-punching rhetoric was a bold, even brave decision. One that seems to have rewarded the company commercially. 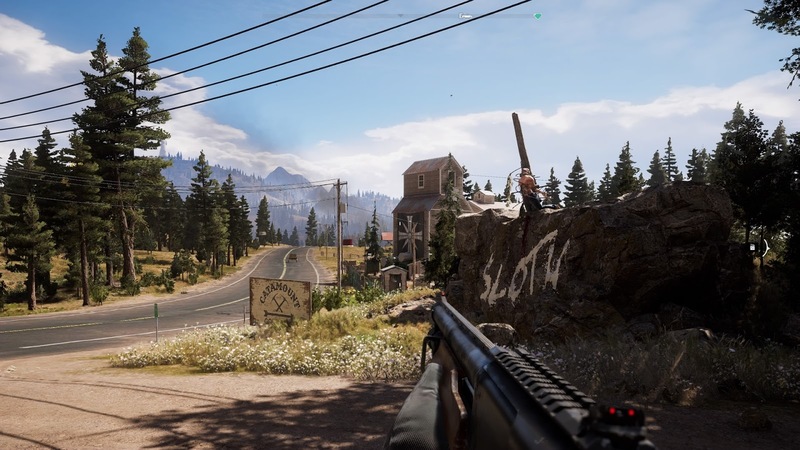 Far Cry 5 washing its hands of any perceived controversy was timid by comparison. The radio silence from Far Cry 5 and its characterisation of evil results in a rather safe swathe of violent antagonism that delivers the kind of narrative bite that annoys rather than intrigues. You play as a voiceless and hapless deputy who’s sent to investigate criminal activity in Hope County: an idyllic landscape of rolling hills, free-roaming cows, and farmers with pick-up trucks. You’re responding to a distress call, but having to call for reinforcements soon leads to the realisation that the entire surrounding area has become controlled by a religious cult that’s murdering heathens left and right. Less modern while supremacist and more Branch Davidian. Swept into the guerrilla resistance movement after an adrenaline-pumping tutorial, you’re predictably forced into the hotseat as you prove yourself as the only person around those parts who can get stuff done. Predictably, getting stuff done involves murdering your way out of the backwoods of America and ensuring that the movement who you've saved doesn’t get the raw end of the deal. You’re given a number of tools to finish the job. 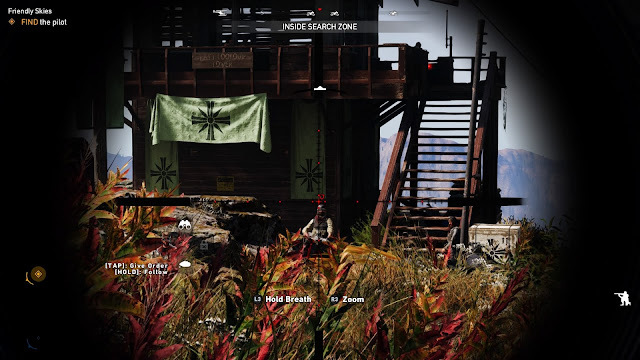 Par for the Far Cry course are weapons and drugs that enhance your combat potential. You’ll also meet enemies who have imbibed their own deadly concoction of homeopathic remedies, making them a little more rabid than the usual foes that you’d encounter. Luckily, pretty much anything can be dispatched by an RPG. Shooting feels intuitive and builds upon the usual button combinations for console shooters that have been popularised over the last decade. I found it irritatingly easy to accidentally blow myself up with an ill-timed grenade, but that’s likely due to my own incompetence. Even if you’re an unlucky shot like me, don’t fear! 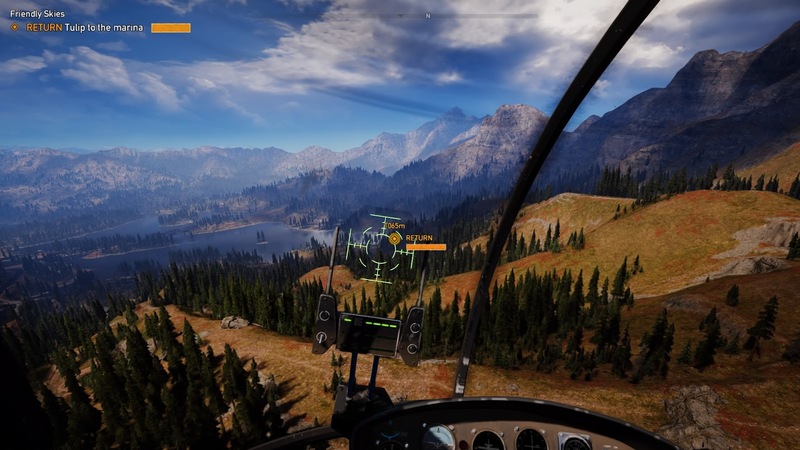 Far Cry 5 equips you with the tools that you need to succeed, and the best of those is probably a companion that does strafing runs from the safety of a helicopter. The dog companion that featured so prominently in the trailer rears its adorable head, but you really only have the ability to have one AI assistant at your beck and call. Picking between a canine and the combat capabilities of the aforementioned helicopter was a no-brainer, which was a bit of a shame; some of the more unusual companions (a bear, for instance) are unlikely to see much use because the human alternatives are just too powerful generally. Using a companion to wreak havoc makes the game a lot easier than you’d first expect. I found that a viable strategy was to pick people off from afar with a sniper rifle, before signaling in my co-pilot to do the rest of the dirty work. While there’s reasonably deep customisable trees for your combat prowess (unlocked through perks), and the prospect of your companions leveling up through sheer butchery, you aren’t really incentivised to do so when the coward’s strategy of sniping from higher ground holds up reasonably well and at a low risk to you. 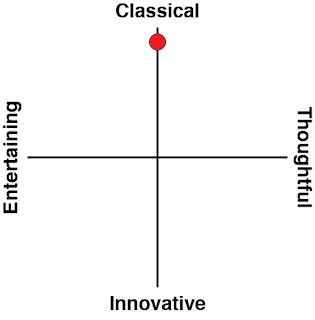 That’s not to say that trying different playstyles isn’t feasible or more fun, but the difficulty curve of the game stayed relatively flat between the different regions so it’s not something that you’re particularly encouraged to do. As you can see, the murder and mayhem (for the most part) is well executed. That’s about par for the course with games of this variety, and Far Cry as a franchise has generally been very consistent in delivering haphazard stories in a mechanically entertaining way. 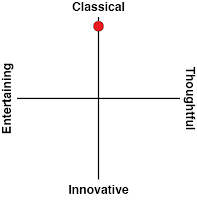 However, none of that screams “originality”. Ubisoft delivered a veritable buffet of narrative quirks in Far Cry 3 and when you’re going to go all out and stretch the limits of plausibility each and every time, the resulting pay-off for audiences is going to be diminished unless you can pull an even larger rabbit out of the next hat. This time, you’re introduced to the story of Joseph Seed, and in case the name wasn’t enough of a red flag for you, it’s clear that he’s the patriarch of the evil cult and a Really Bad Guy. Like the Mafia games, you’re asked to take out his siblings (who fulfill the role of deputies and local law enforcement all in one) and to weaken his cult’s hold on the territory. What was surprising is how charismatic and compelling the Seed family were throughout the game. It’s not hard to be more engaging than someone who’s silent and largely reactionless to the events around them, you might say. That would also be true. But there’s been a clear effort made to ensure that they’re not just one-dimensional facsimiles of the Westboro Baptist Church. Each deputy has their own reasons for wanting to join the People of Eden’s Gate, and the storytelling in the game is linked thoroughly to this motivations. As you progress in liberating a deputy’s region, you’ll be greeted with cutscenes and information about them after you hit certain milestones in the game. The story isn’t told in a linear fashion because the bulk of it is vignettes regarding the cult members and their various backstories. This isn’t anything to complain about in itself, but the fact that the game then does very little with those backstories is unsatisfying. The game makes it clear that you can take out the deputies in any order that you choose, and the result is that the stories they tell seem disparate and unconnected, both in characterisation and in narrative execution. You effect a lot of change in Far Cry 5 but you feel like a perennial bystander who has no control over any of the events that you experience in Hope County, and that helplessness would be an interesting plot device if it felt at all intentional in any way. This is where Far Cry 5 falls short. It never really realises the absurdity of the story that its telling even as it leans into absurd humour in plenty of other areas in the game (you’ve probably already seen the video of the cows copulating). Combined with the silent protagonist aspect and the non-linear storytelling that you’re subjected to, the story as a whole is incredibly hard to follow, and its impact is accordingly diminished; it’s hard to care about the people that you’re saving when you don’t get to react to them at all. It’s like being a silent, murderous therapist who has to listen to all manner of injustices, with your only payment being increased enmity from religious lunatics. It’s a shame that the plot turns what could have been an interesting, critical title into one that’s simply yet another serviceable AAA game for mass consumption. Did Ubisoft have something interesting to say about extremism and violence? Probably not, but maybe embracing parallels with current events would have made this production seem less like a backyard rodeo.